Description: Access the misty Ko'olau Mountain Range, exploring its lush vegetation and wetting your feet in its chilly streams. On this adventure you will ... * Depart from Aulani, a Disney Resort & Spa at 7:45 AM. Ride on Kamehameha Highway toward O'ahu famous North Shore. * Arrive at the North Shore Marketplace, located at 66-250 Kamehameha Hwy. in Hale'iwa town. Look for the off-road vehicle near the Aloha General Store. Please report to the Hale'iwa pick-up site no later than 8:50 AM, 10 minutes before the start of the tour. 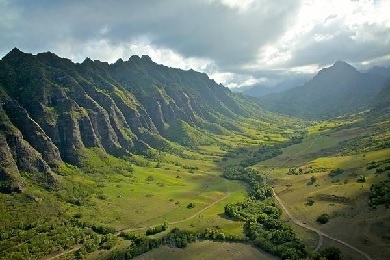 * Experience the Ko'olau mountains form a valley of unparalleled beauty. You will see exquisite freshwater pools and the best mountain swimming on the island! The 3.5-mile rail includes 10 stream crossings and an amazing array of tropical flowers and fruits-including wild tanerines, liliko'i (passion fruit), 'ohi'a'ai (moutain apple), mangoes, hau (sea hibiscus) and more. 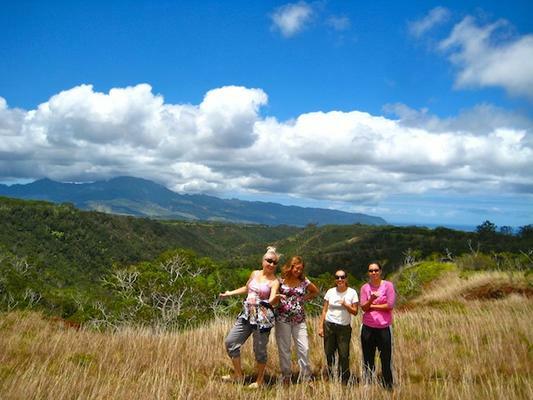 It is considered one of the most delighful intermediate/advanced hikes on O'ahu. 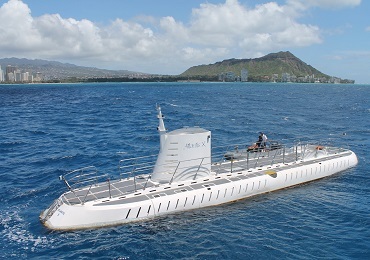 * Enjoy the island through Hawaiian eyes as your expert guide shares the history, language, and mo'olelo (stories) of Hawaii'i and its fascinating environment. * Get your swimsuit on and strap up the hiking boots - after all, the wai (water) puts the Nui (big) into this adventure! Access the misty Ko'olau Mountain Range, exploring its lush vegetation and wetting your feet in its chilly streams. * Depart from Aulani, a Disney Resort & Spa at 7:45 AM. Ride on Kamehameha Highway toward O'ahu famous North Shore. * Arrive at the North Shore Marketplace, located at 66-250 Kamehameha Hwy. in Hale'iwa town. Look for the off-road vehicle near the Aloha General Store. Please report to the Hale'iwa pick-up site no later than 8:50 AM, 10 minutes before the start of the tour. * Experience the Ko'olau mountains form a valley of unparalleled beauty. You will see exquisite freshwater pools and the best mountain swimming on the island! 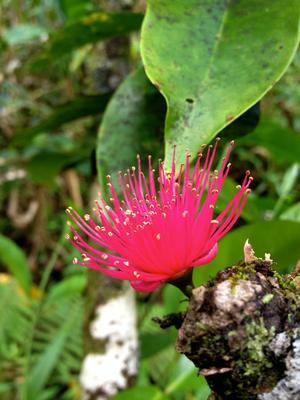 The 3.5-mile rail includes 10 stream crossings and an amazing array of tropical flowers and fruits-including wild tanerines, liliko'i (passion fruit), 'ohi'a'ai (moutain apple), mangoes, hau (sea hibiscus) and more. It is considered one of the most delighful intermediate/advanced hikes on O'ahu. 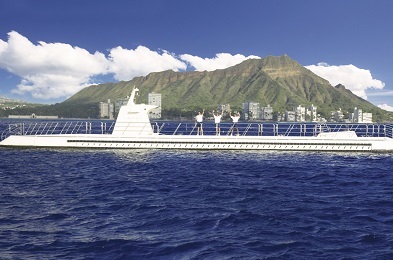 * Enjoy the island through Hawaiian eyes as your expert guide shares the history, language, and mo'olelo (stories) of Hawaii'i and its fascinating environment. * Get your swimsuit on and strap up the hiking boots - after all, the wai (water) puts the Nui (big) into this adventure!